New way to enjoy videos! Stories is a new way to experience and watch videos on your phone by utilizing the gyroscope on your phone. Stay up to date with what's trending and new in media. Save the videos you find interesting. A great way to see what’s trending on YouTube! I like that this app makes watching YouTube more like watching stories. I think it would be better though if you didn't have to shift your phone from left to right to align the image. I think a better solution would be to add a slider style button near that bottom of the screen that you could place your thumb on to align the image, or just make the entire screen scrollable. That would allow for much faster and more accurate control of the position of the video and would be a lot less annoying. Looking forward to updates! Subchat - talk about a topic! 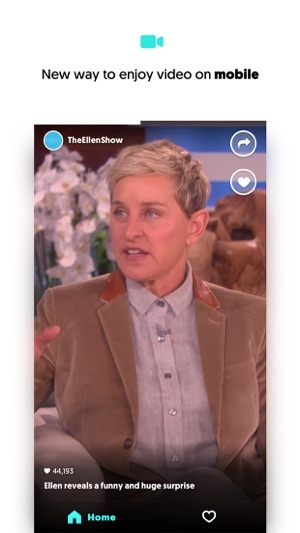 Clippit-Make & Share TV Clips!